Have kids between the ages of 3 and 6? Want to make learning fun for them? 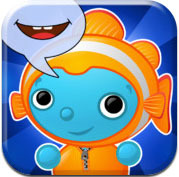 Then listen up: I Learn with Boing: Ocean Adventures!, developed by iLearn With/Tribal Nova, Inc., needs to be added to your download list immediately. Freshly released on October 11th, I Learn with Boing: Ocean Adventures! 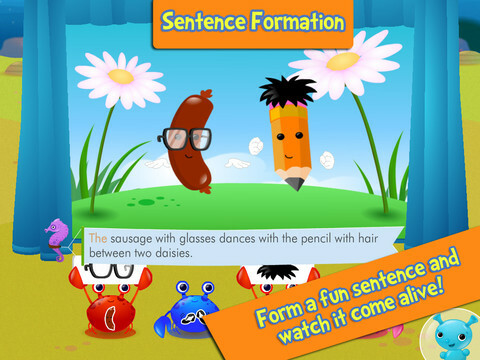 aims to help little ones build their vocabulary, listening comprehension, and sentence formation skills. If your kid loves watching “Finding Nemo” or taking trips to the aquarium, the cuddly-looking sea creatures in I Learn with Boing: Ocean Adventures! are sure to engage them. I Learn with Boing: Ocean Adventures! makes learning fun, thanks to an array of underwater friends. There’s a cute octopus who will help your child learn listening comprehension skills, as well as some helpful crabs and some playful clown fish. Unlike a lot of kid-friendly apps out there that are just glorified babysitting tools, I Learn with Boing: Ocean Adventures! actually allows for a great deal of interaction between parents and kids. I Learn with Boing: Ocean Adventures! isn’t a game your kids have to play by themselves: you can play with them, which fosters better bonding. With a great set of characters, a stellar pedigree, and wonderfully responsive controls, there’s no reason for parents to skip this skill-building kid’s game. If you want a learning tool for your pre-K child, you’ve gotta check out I Learn with Boing: Ocean Adventures! before the prices goes up! 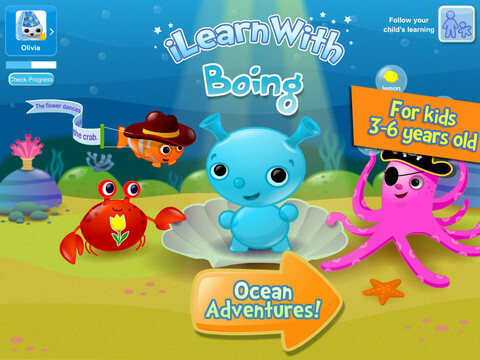 Check out a video trailer for I Learn with Boing: Ocean Adventures! here. Compatible with iPhone 3GS, iPhone 4, iPhone 4S, iPhone 5, iPod touch (3rd generation), iPod touch (4th generation), iPod touch (5th generation) and iPad. Requires iOS 4.0 or later. This app is optimized for iPhone 5. A small expedite fee was paid by the developer to speed up the publication of this iPhone game review.